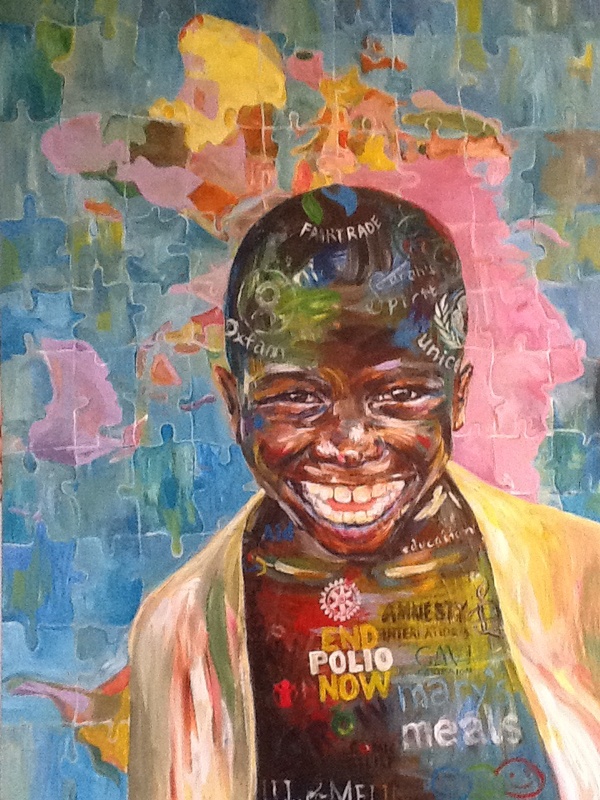 The background of the painting is a map, representing extreme inequality and poverty as global issues affecting both rich and poor, and that in order for the issues to start getting resolved, EVERYBODY is going to need to cooperate. The puzzle pieces further reflect the piece by piece process, the fact that many tiny efforts– insignificant on their own– come together and are necessary for the positive outcome. Living with a chronic illness has taught me that anger, resentfulness and similar attitudes/emotions will not improve a situation– on the contrary! Approaching issues with a positive attitude means that they will be resolved more quickly, efficiently, and with greater ease. 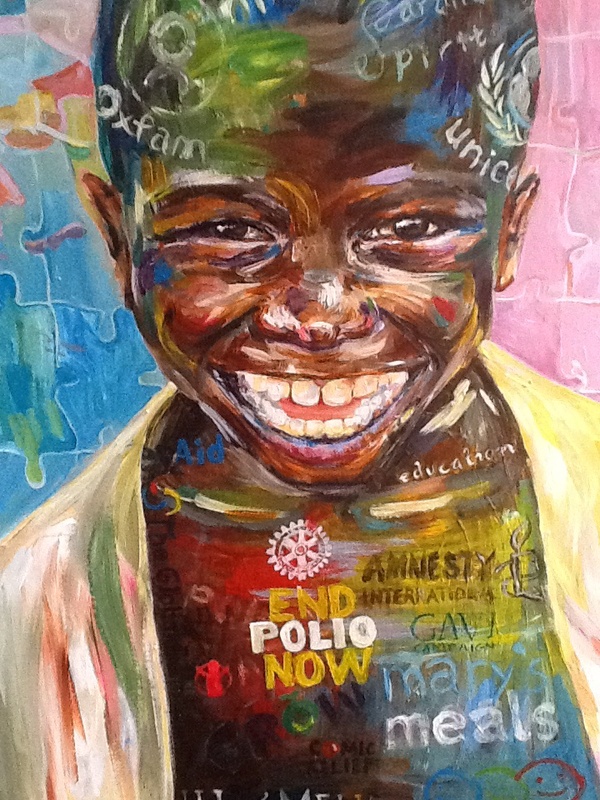 The painting sends a hopeful, positive message– to show that we CAN overcome the extreme inequality present in our world, that it IS resolvable. It gives a clear aim. It shows that the aim will require a huge amount of discipline, input and strength from every single person; but it IS possible.